Over the next day or so I will be taking a quick look at what each club can do to either get back on track to make the playoffs, stay on course to reach the post season or ultimately win the Supporters’ Shield. Today I will start off with the Eastern Conference clubs. Since the playoffs are now structured to have five clubs from each conference reach the post season, things this season in the Eastern Conference are going to be tighter than ever, but the big question is will the produce better clubs than in the last few year? Time will tell on everything here and once teams level out on terms of games played (this unbalanced schedule is a pain), we’ll have a good sense of where things are going. Consistency. Right now for Frank Klopas’ side, he just needs a team that can put a winning streak together here. The Fire sit tied with the Columbus Crew with 18 points at the moment – good enough for 4th or 5th place depending on how you read the standings. So far this season the Fire haven’t been about to play consistent for more than a game at a time. They haven’t drawn two games in-a-row or won two games in-a-row – and up until their last game they hadn’t dropped two in-a-row. Finding their offensive mojo. Looking at the last five games for the Crew have been a revival of sorts. They haven’t dropped a game in a while and are unbeaten in their last five. Pretty good considering this club doesn’t have a true go-to scorer or playmaker at the moment. They have some new talent coming in here soon and I just feel this team is a trade away from making a good run that gets them firmly in the post season talk. Their defense is better than advertised and if their offense can continue to improve they very well could be a dangerous playoff team. Keeping DeRo going and keeping the defense healthy. I think it is fairly simple with United, as long as Dwayne De Rosario is going and going at a high pace like we’ve seen then this club has a great shot at competing for a Supporters’ Shield this season. D.C. has played more games than most clubs so far but their form over the last month and a half has been impressive – mostly due to the play of De Rosario. Their defense on the other hand just need to remain healthy. I’ve been a big fan of where this group is going these days with the play of guys like Daniel Woolard stepping up and Brandon McDonald becoming a big time center back in this league. Finding that killer attack mode. One thing is apparent with the Dynamo to me, their offense doesn’t exactly strike fear to the rest of the league. Houston has only scored 12 goals so far this season – averaging just a shade over a goal a game. Their strength is certainly their defense and their strong midfield play but until they get that go-to scorer going each game, it makes me wonder about this club. Then again, if you win a bunch of 1-0 games then good on you. Defense improvements. I do like where Jesse Marsch is taking this club but boy it is a rocky road to get there. Their offense is slowly getting there and if Marco Di Viao can get up to speed on playing in MLS when he arrives later on this month then they could be in business. But the thing that the Impact desperately need as they look to open up their home stadium here in the next couple of weeks is defense. After seven losses and 21 goals against (almost the most given up by a MLS team this season) – the big thing the Impact need is a center back duo that steps up and guides this club. Consistency away from home. For the Revs, their play at home has been solid. A good 4-1-1 record so far is one of the better home records in the league. It could be the turf factor that leads to the wins or it could just be that familiarity of being at home that does it but the Revs get the job done at home. On the road it is a totally different story as the club is 1-6-0 right now away from New England. Ouch. Jay Heaps has to find a way to get the troops in a good state of mind when they hit the road. Six of their seven losses this season are away from home and if that trend continues you can kiss the playoffs good bye. Keeping it simple. 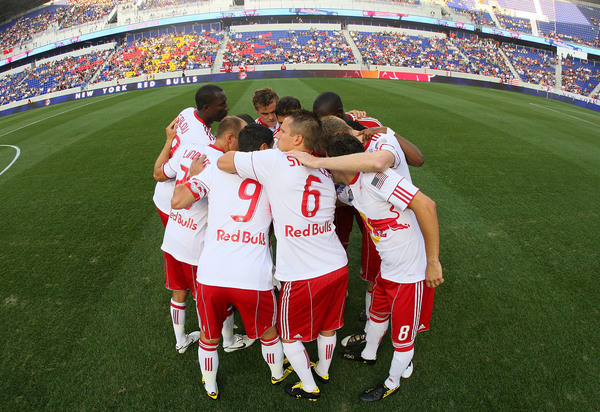 This sounds pretty broad for the Red Bulls but really it comes down to keeping everything simple from here on out. What I mean with this is the way Hans Backe has selected his lineups this season and who he has trusted to lead his squad has helped guide him this far. A solid eight wins entering June is impressive but it is mostly due to some young players stepping up and their offense dominating early on. Also, keeping everyone’s head on straight will go a long way too in keeping this group in the Supporters’ Shield contention. In other words, no craziness from Rafa Marquez! Spend that allocation. I wonder if some Union fans are already wanting to just throw this season away. After 11 games their club has only won two of them and have seemingly traded away all good pieces of the club that they grew to love over the last couple of years. Thanks to all of those deals that Peter Nowak made, I think this summer transfer window is a big one for this group. He needs to go out and spend on this club, get the fans excited again, find some offensive weapons, and maybe find some good luck along the way. Don’t out think the room. I think everyone still has a good feeling about this club making a strong run at things this season but in their couple of losses it appeared to me that they were just over thinking things a bit too much. They have the talent across the board to win a lot of games this season but they cannot beat themselves. In a way they are their own worst enemy here and as long as everyone stays on the same page, they’ll still be in good shape to contend for that Supporters’ Shield crown. A little bit of everything…but mostly that defense. Lady luck hasn’t been on their side much this season. Nine losses in ten matches. Ouch. Their offense isn’t there when most thought it would be with the likes of Danny Koevermans and Ryan Johnson. Their defense has been absolutely dreadful though and mostly it comes down to the fact that Aron Winter does not have a strong enough center back pairing to win a lot of games in this league. Torsten Frings is not effective enough at center back and this club plays so much better with him above the defense in the midfield. 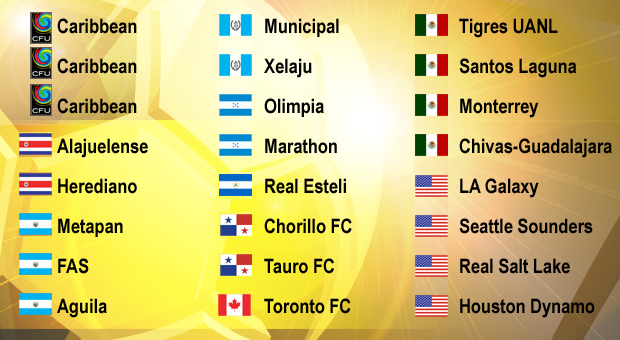 But hey, at least they are headed back to the CONCACAF Champions League again!